This week at Focused On The Magic the Wordless Wednesday Theme is"
That being said I dedicate this post to all the friends and family who have "done" Disneyland with me the way that I like to experience Disneyland. You all know who you are. I also dedicate it to all the Disneyland Characters who have helped make EVERY trip magical! 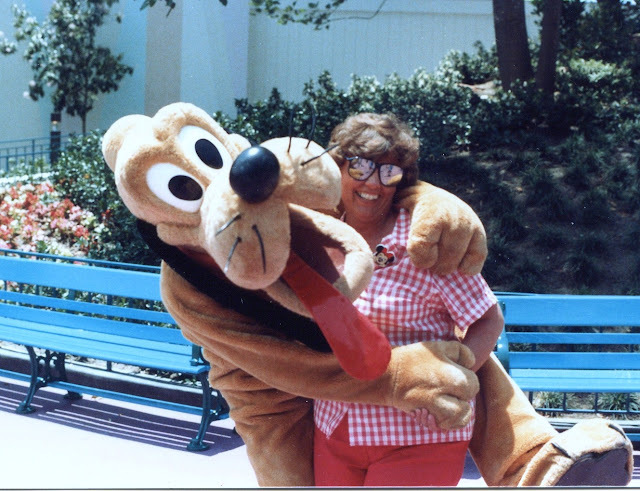 Pluto was very happy to see my mother sometime in the 1980's. Donald was quite shy in the 1980's (or maybe it was the early 90's). The tradition started in approximately 2003. Two friends who share a love for Disney packed up the kids and headed to Disneyland for a weekend in the park. We call ourselves "The Disney Chicks". The tradition continues and the husbands are still glad to be left at home while the "Chicks" are at The Happiest Place On Earth! One of my all time favorite photos!! I had to include a Disney Villain! That's all I have for Wordless Wednesday! As you can tell I had a lot of trouble picking one or even two photos to share with you. I hope that you all have a magical, Disney kind of day! Great photos that capture another great meaning of Disney friends :) Always great when you have others that get the love and will experience it with you. I found your lovely blog threw a blog hop. I'm excited to be your newest follower! I hope you can come visit my blog and follow too. Hi! I am now following you back! Thanks for stopping by. 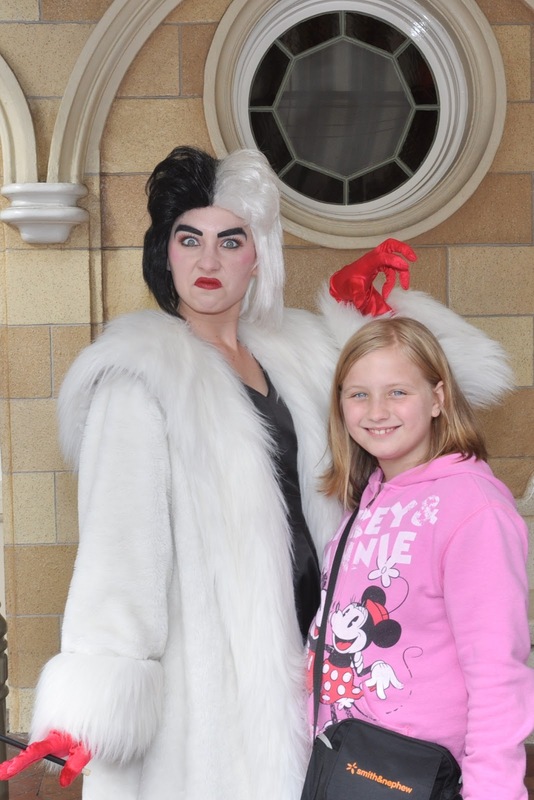 I just love the one with Cruella de Vil! 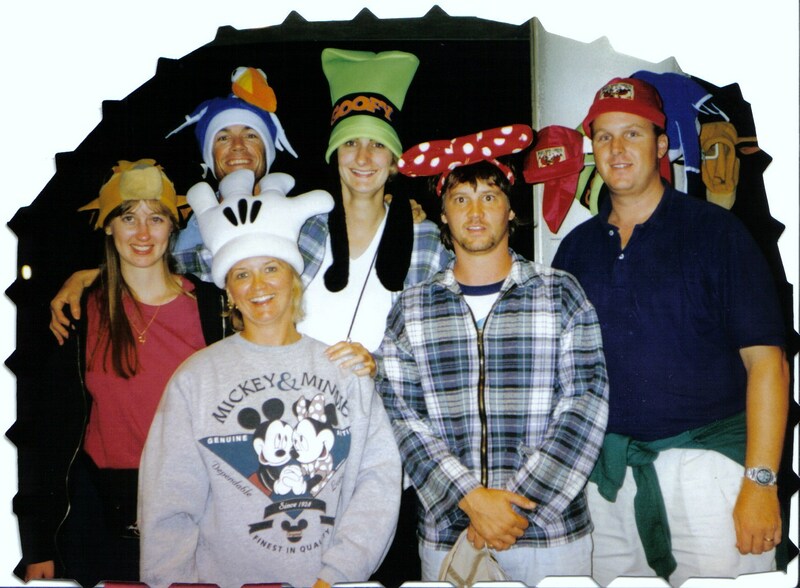 Awesome shots, love the family hat one, so fun! Thanks for sharing! Thanks so much. The family hat one is an older one. Wish I would of taken more pics back then. Great shots! I love the one with Donald. Nice pictures....my hubby wishes I'd leave home when I plan our Disney trips, LOL!! Great pictures! Love that the Disney Chicks get park time with the kids. That is fabulous!! Thanks so much for sharing and for joining in on the Disney WW Blog Hop fun! I also have to tell you I just love your banner! It makes me smile every time I see it! Is that your creation? Love the shots - the older the better! Great memories! Love all the pictures!! 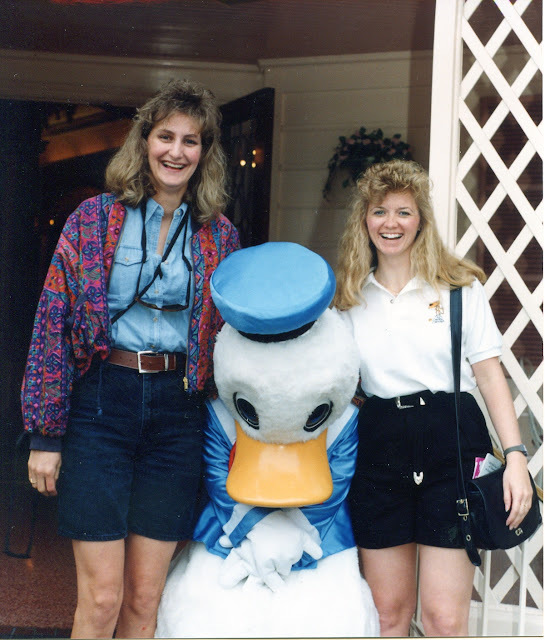 And all the wonderful treasured moments with my fellow "Disney Chick"!!! Thanks Fellow Disney Chick! Glad you have a Blogger name! What a lovely tale of Disneyland friends. Great photos! I have to say that I'm somewhat concerned about Pluto's apparent enthusiasm for meeting your Mom. When I hear that somebody got mauled by a dog, that's not quite how I envision things. Great pictures! Looks like lots of fun times for everyone. 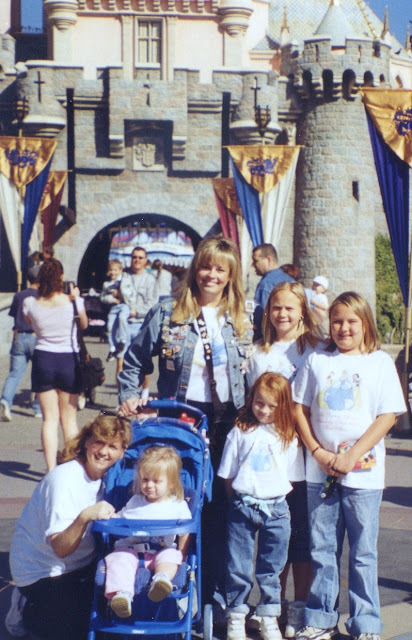 I've only been to Disneyland once with half of my family, but it was some fun times.